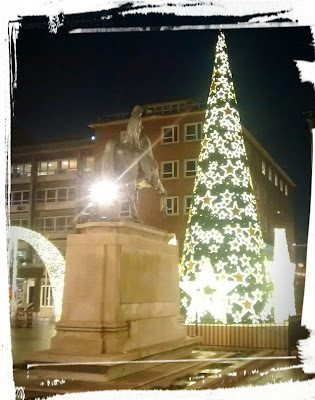 I took the picture above last year, it's of the Christmas decorations from my home town of Coventry. For those unfamiliar with Coventry's history you may not have heard the tale of Lady Godiva, who is immortalised in the statue you can see in the picture; very briefly the; legend states that back in the 11th century in order to publicly oppose harsh taxation of the poor by her husband Lord Leofric; Godiva gave up her dignity while also shaming Leofric by riding naked on a horse through the city, covered only by her long hair; out of respect the citizens looked away; except for one man who became known as peeping Tom (which is where we get the expression from). So what is the point of that for us today on this, the last Sunday in Advent? Well as the 3 wise men or kings or magi (however you wish to name them) followed a star to their destinies, so Godiva followed her heart to her destiny, and as we listen to God and follow His direction through our hearts and the scriptures we too will be led to our destinies and to the place where God wants to use us. (I know the story of the wise men is technically Epiphany, but as we associate it with Christmas I hope you'll indulge me). That all sounds very nice, but it can actually be rather scary and difficult, although the task of the wise men to worship Christ was actually relatively easy it did require a long difficult journey which would've put them in danger and of course finding themselves in the clutches of the tyrannical king Herod. But it led to them taking the news of Christ back east with them and gave the holy family time to escape the slaughter of the children of Bethlehem by fleeing to Egypt. The same God that called the wise men to the cradle, called Christ to the Cross. Our first call is to that cradle; to worship and adore Christ above all; to submit to His will and purpose, after that He sends us where He wants not where we want, sometimes that is a call to suffer and sacrifice. We must be prepared to do whatever it is we are called to do. 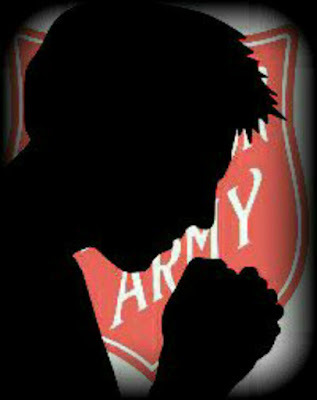 This may not be easy but 'where God guides, He provides'. I would love to hear from you; with your thoughts, opinions and comments.